Four family members born and raised in Nashville who never had any intention of performing together while growing up could become one of the hottest acts of the summer with their brand of pop, soul and rock 'n' roll. Growing up in Nashville doesn't automatically mean you're destined to inherit an acoustic guitar and one day play country tunes at the Ryman or Grand Ole Opry. In fact, for Alexandria "Zandy" Fitzgerald of the New Respects, the opposite was quite true. "We kind of fell into being a band. We saw everybody really striving to become the Next Big Thing," Fitzgerald recalled as an imaginative child of the Music City who shared a Christian upbringing with her twin sister Alexis "Lexi" Fitzgerald, older brother Darius and cousin Jasmine Mullen. "And we were just kind of like, 'Nah. I don't want to be a part of the music industry, really.' "
Exposed primarily to gospel and Motown music in their youth, the Fitzgeralds were given the freedom to explore other genres as teenagers. Zandy took full advantage of YouTube to check out rock bands like Led Zeppelin and the Beatles, and electric guitarists from Muddy Waters, B.B. King and Jimi Hendrix to Eric Clapton and John Mayer. "Before we knew it, we were in rehearsals once a week trying to craft some really great songs and we started a band when we were in high school," said Zandy, who co-wrote her first song with Mullen called "While We're Young" (about boyfriends neither had) when they were 15 and 16, respectively. 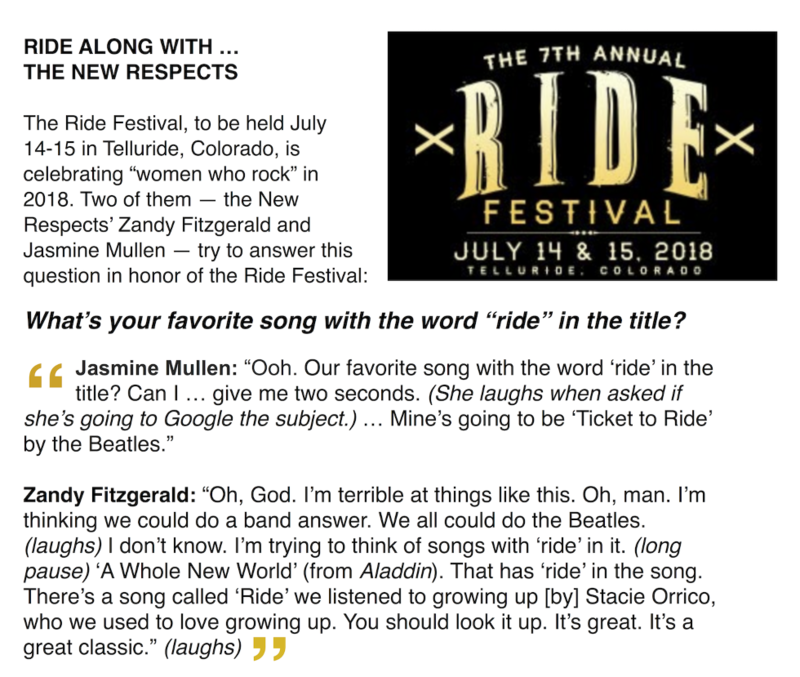 Eight years later, the promising quartet that plays what Zandy called "pop, soul and rock 'n' roll" will make their Ryman debut on July 25 during a sweltering summer that kicks off with an an introduction to Telluride's famed Town Park stage at the Ride Festival on July 15. Nothing should keep them from soaring, including the southwestern Colorado town's 8,750-foot elevation. On a June 19 phone call from their hometown before another rehearsal, Zandy (lead guitar) and her cousin Jasmine (lead vocals, guitar) discussed their upcoming full-length album debut, the pleasure and pain of being women in this business and how that mountainous climb to the top began for a gifted family band that includes Lexi (bass) and Darius (drums). "We call ourselves a DIY band because none of us took lessons, really," Zandy said, mentioning their early days as the John Hancock Band that they changed for legal reasons en route to getting a record deal. "I took, I think, a year of guitar lessons but I would never practice and I would, like, cheat my way through all those." While her father Daryl performed in his college days, the Fitzgerald children didn't inherit their musical abilities from their elders. "My mom (Stephanie) is a terrible singer, awful …," said a candid Zandy, who initially wanted to be an interior designer. "As far as us playing instruments, I think it was something more of like a gift from the Lord. But as far as the heart behind what we do, it was from my parents." For homeschooling Darius and the twins, Zandy praised her mom, who stressed to the children that, "You can do anything you want. You just have to work for it." Jasmine's parents (David and Nicole C. Mullen) were in the Christian music industry, so while artists such as Amy Grant and Michael W. Smith were playlist regulars, her dad ("one of the most imaginative people I know," she said) was "obsessed" with U2. "So I went through tons of U2 and Coldplay and stuff like that," Jasmine said. "Now my mom, she introduced me to [Mayer's] Continuum record, which I think we all [in the band] liked. That was kind of something that united the four of us musically. … John Mayer and then later on Alabama Shakes, music we discovered for ourselves. So that was … it was cool for me to grow up in a house full of music even though I think initially it made me not want to do it. I just kind of couldn't get away from it … it was in my blood, and here I am today." As the daughter of singer-songwriters, Jasmine attended "a tiny private school" and started creating tunes when she was little, going to the studio with her dad during writing or recording sessions and thinking that unusual existence was normal. It wasn't. Her parents — who are "really good storytellers," she said — even critiqued her songwriting. "I would bring them songs when I was really young and I'd be like, 'What do you think of this?' " Jasmine said. "And [even as] a little kid, they'd be like, 'The metaphor doesn't match here and the lines A and B don't rhyme, but other than that, it's a good concept. Go back upstairs and write it. And I'd be like, 'Cool!' So I would go back upstairs and write it and then bring them my second draft. And I think that just kind of like stuck with me." "At the end of the day, I'm glad she was because here we are today. And we practiced and worked hard and a lot of that is because of Zandy being a tyrant." Just walking around Nashville and witnessing the musical talent was discouraging at first to Zandy, though. "You're around the best of the best," she said. "Even people who are just busking on the side of the road can outplay me." Supportive parents fueled the band's competitive nature ("We're either gonna make it or we're gonna die trying," they would say), but Zandy would hear someone in town like Vince Gill playing and think, "OK, I have lots of work to do." That included researching America's musical past and proudly discovering that pioneers such as Big Mama Thornton and Sister Rosetta Tharpe made it OK for women to sing and play the blues and rock 'n' roll, too. Zandy checked out She Shreds and other online sites to find out about other black female guitarists. After hearing Tharpe, she said, 'Oh, no way. Like, that's me.' And I didn't know … I just wasn't aware that that long ago there were women playing like that. … But it's cool because it almost feels like carrying the torch in some ways." With three strong women becoming more of the norm in a business once regarded as "a man's world" (and specifically, Zandy pointed out, associating rock 'n' roll with the white male), the New Respects embrace the changes they see on the horizon as word gets out. "Because I feel the temperature of those conversations are a little bit more calm now and we're able to talk about it, you hear the stories of women who have been doing it just as long as men are," Zandy said. "It's not the first thing people think of just due to history, but it's not looked down upon anymore. If anything, it's celebrated." That celebratory feeling is another reason why the New Respects expect to enjoy performing at the Ride Festival, which is heralding "Women Who Rock" as its theme in 2018. "I'm honestly very, very honored," said Zandy, who believes the rock genre fits comfortably into what she and the New Respects are bringing to their diverse audience. "Like me, personally, looking up to such legends like, as a guitar player, I'm compared to … I've gotten Lenny Kravitz and Jimi Hendrix a lot. I think part of it is because of the way I wear my hair, like an Afro, and I'm black. So it's a physical kind of comparison as well. But for people to hear the people we look up to in our music is crazy. So we can't really ask for much more than that. We want to be considered classic music makers and people who make music that will last a lifetime. And rock 'n' roll is one of those genres where you can do that. So it's been cool to be associated with that type of audience and those type of players." 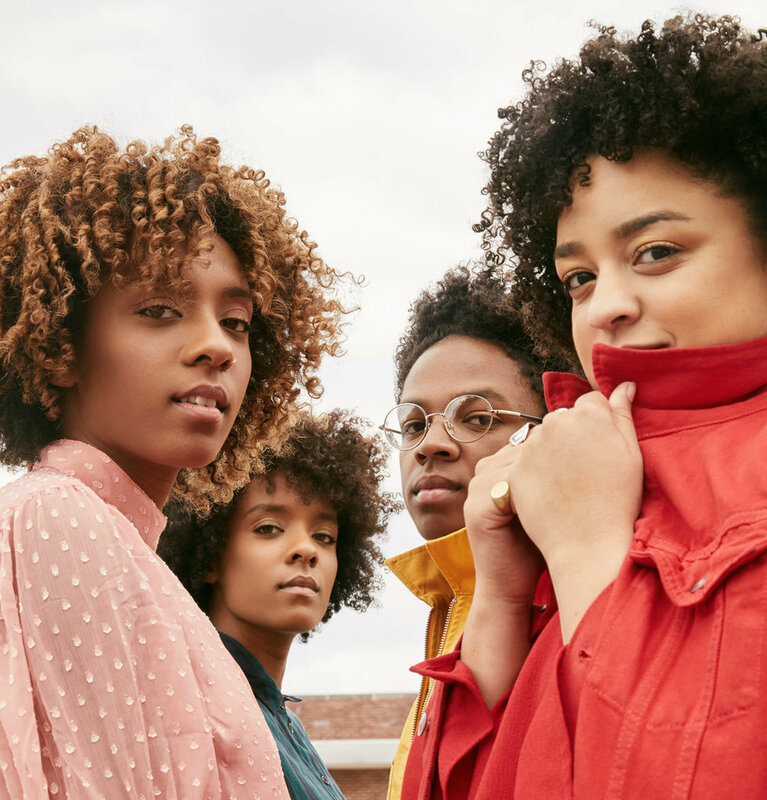 The New Respects, who last year played Red Rocks — first to scratch off a list of dream places they want to perform that also includes Bonnaroo, Lollapalooza, the Bridgestone Arena in Nashville and Madison Square Garden — will return to open for O.A.R. in August, but will first have to take on Telluride's thin air. Confident and up for the challenge, they may have some pre-show jitters over the altitude adjustment, especially after hearing about some singers at that venue who have had oxygen tanks waiting backstage. "Those shows always make me nervous," admitted Jasmine, one of the fine female voices of the festival that will include Grace Potter, Sheryl Crow, ZZ Ward and Larkin Poe's sister act of Rebecca and Megan Lovell. Jasmine, who appreciates what the Ride Festival is doing with its theme, added, "I think it's just exciting to be a woman right now. Like just because there's so much more opportunity than there used to be and we get to use our gentleness and our strength to tell our stories and tell other people's stories. … I think we don't think about being women, not much, until somebody is like, 'Oh, it's so cool, y'all are women and rocking.' … Like we've had little girls come to our show … and be super-pumped because they can see what they could be one day. That's just awesome." Still, not everyone is getting the message being conveyed in the past year by the MeToo and Time's Up movements. Members of the New Respects have been sexually harassed by concertgoers, usually when "alcohol is involved and men see you onstage, they have the tendency to just take it too far," Zandy said. "That was actually something that I was really hurt by at the beginning of the career because it felt demeaning." She also discussed a harrowing incident that happened recently. After finishing loading out her gear, Zandy was approached by a seemingly friendly guy who "ended up putting his hands around my neck. And I was just thinking, 'How do I get out? Like how do I just not make a scene, get out safe and forget about it?' "
Fortunately, there hasn't been another physical encounter, but after initially trying to laugh it off, Zandy did confide afterward with some family friends. They assured her that such mistreatment is not acceptable, and recommended steps she can take if it happens again, saying, "Do something because you're worth more than that." Zandy, who was pleased to report that "we've encountered way more good men than bad," has decided to heed her friends' advice. "Especially because I babysit so much, like little girls, there's no way I can't say something. Because I don't want the world that they grow up in to look a lot like the one I'm having to live in now. I don't have an exact kind of plan. Because I do have to take into account that it can get dangerous for me if I'm not careful." Of course, Jasmine accepts that universal feeling, but sends a pointed message to the random miscreant. "Love is for everyone, except for all you crazy people who put your hands all over and are saying terrible things," she offered. "… I hope that when we sing, something hits them in their spirit that they're like, 'I can't live with the way that I am anymore.' … I don't think that these people are truly out to court evil as much as they do evil things because they're broken." For the more well-adjusted, inspired listeners who will feel empowered by exhilarating group-written numbers such as "Freedom", "Hands Up", and "Something to Believe In", which fortify the three songs previously included on their 2017 EP Here Comes Trouble, Jasmine said, "I'm super-excited to share this record with people and I hope they see a little bit of themselves in the songs and that they can identify with it, and that they can meet people who are different than them because of songs like these." 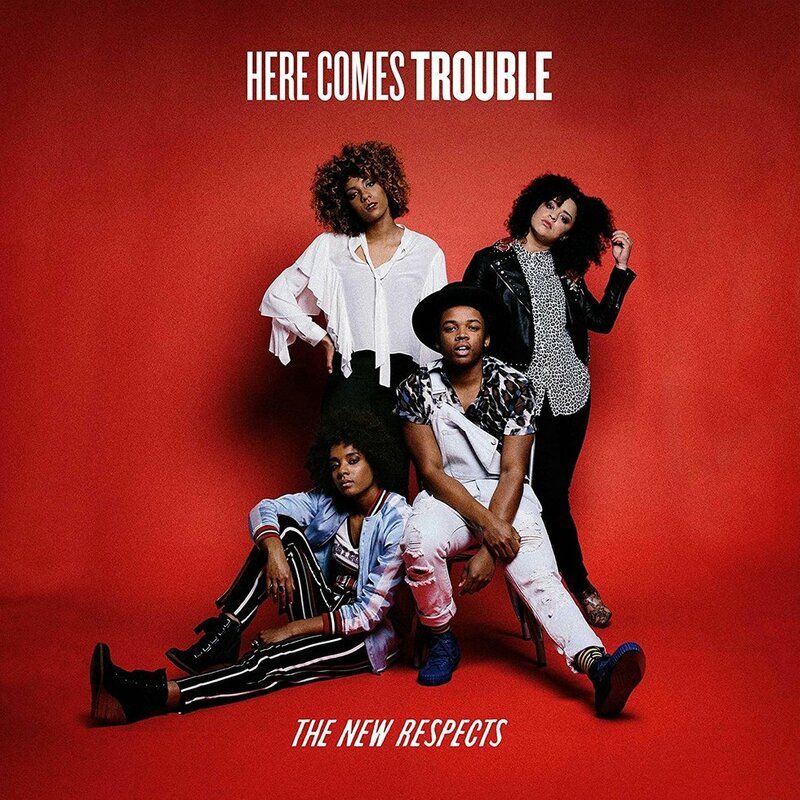 With no limits regarding how far they can go, the New Respects expanded their musical boundaries, too, delivering the "pop, soul and rock 'n' roll" sound buoyed by luscious harmonies that surely will reverberate across the country this summer. "Sonically, this record gave us an opportunity to explore a lot more spaces than the EP did," Zandy said. "And so with this record, we feel like we had the room to put all of those things in it more so than we did when we just had the EP out. And so it's gonna be fun seeing who responds to it. … It's fun because we don't feel limited by the lack of one defined genre. It gives us room to talk to a ton of people. Different ages, different races, whatever it may be. We just kind of want to start a conversation." Expect the New Respects to take a deep breath — especially in Telluride — before pumping up the volume as they become the talk of the towns on their touring schedule. First in a series previewing artists scheduled to play at the Ride Festival.